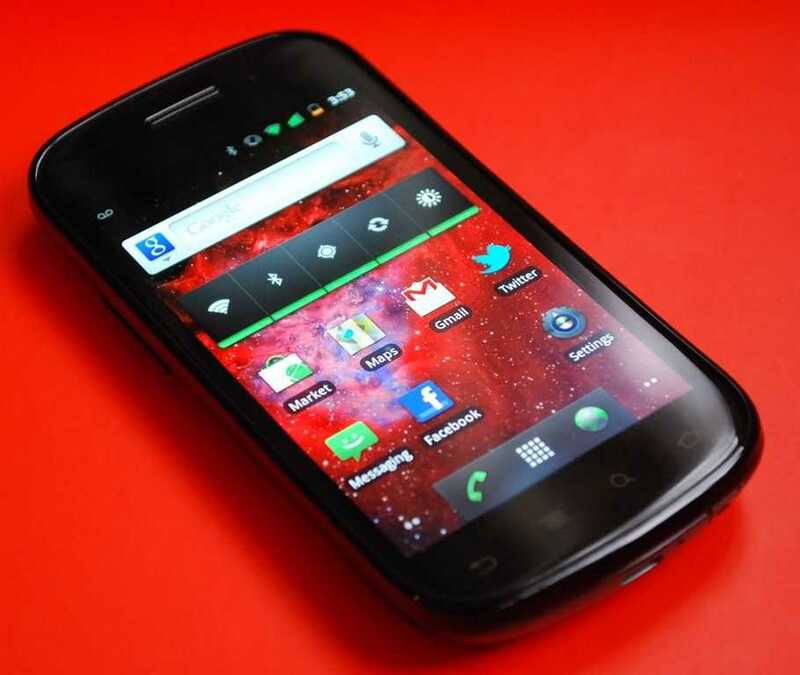 Droid Bionic: Unboxed, Reviewed, and On-Sale. Was it Worth the Wait? The Motorola Droid Bionic was announced 9 months ago at CES 2011, but it has finally arrived â€“ was it worth the wait? As you can see, the design has changed since the initial announcement and it now looks much like a keyboardless Droid 3. 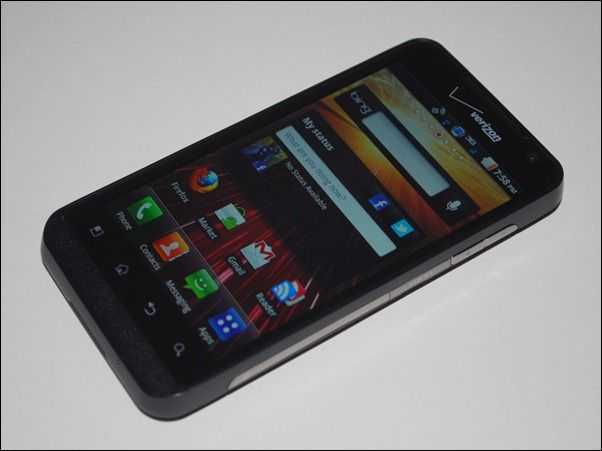 Regardless, the Droid Bionic is here and it’s available for $299 with an upgrade or a whopping $589 without an upgrade. Cory Gunther of AndroidCommunity has a thorough unboxing of the Droid Bionic along with all of its accessories. Check it out. He’s also got a video giving you a look at the lapdock and its functionality, check it out over at Android Community. If you’re looking for a review, Josh Smith of GottaBeMobile has you covered. If I had been waiting patiently for the Droid Bionic since its announcement 8 months ago, I would be a little bit disappointed that the Droid Bionic is basically the same phone at the Motorola Atrix (minus the 4G) which was released back in Februaryâ€¦ oh and it was cheaper. For those of you who were waiting for the Droid Bionic, was it worth it? Uncategorized Comments Off on Droid Bionic: Unboxed, Reviewed, and On-Sale. Was it Worth the Wait? Verizon is well on the way launching all 6 of the initial 4G devices on their roadmap. First was the HTC Thunderbolt, then the Samsung Droid Charge, and now LG’s Revolution. I was expecting the LG Revolution to represent a lesser performing and lower cost entry into the 4G-equipped phone sector though it’s actually priced up there with the others, but also performing better than I had expected. Google’s Nexus phone program aims to combine top-end hardware and the latest Android software to create a flagship Android smartphone (and arguably, a developer phone). 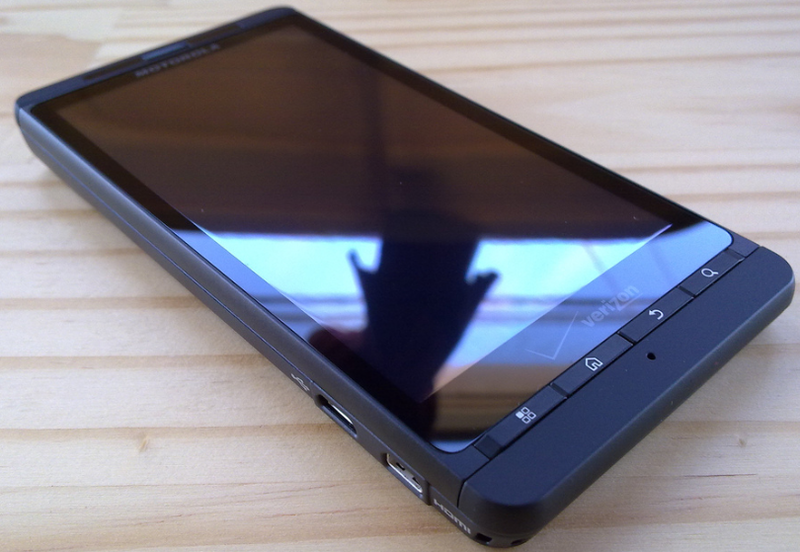 The first phone from the Nexus program was the Nexus One (HTC). Just recently Google has partnered with Samsung to bring the intuitively not intuitively named Nexus Two Nexus S to market. 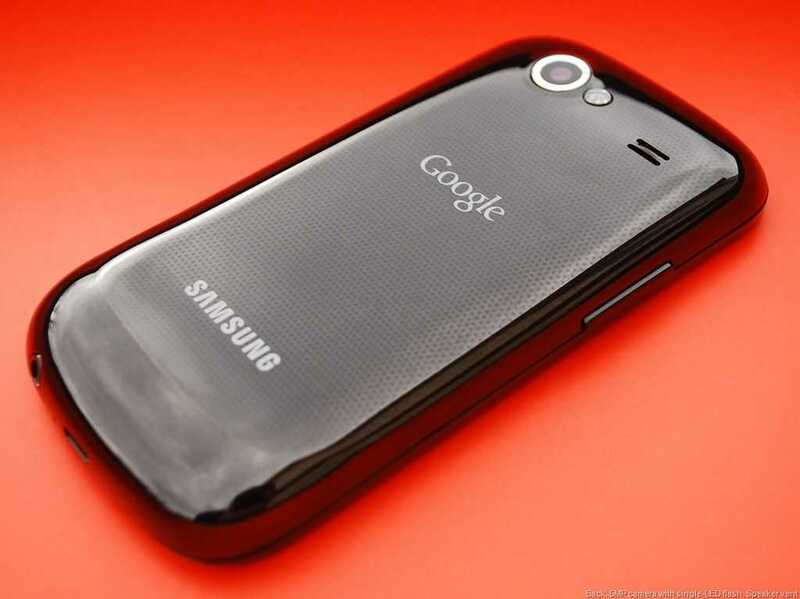 Does Google + Samsung = Success, or is the Nexus S being quickly superseded by other devices, even if they aren’t yet running the latest Android built? Step inside to find out. There’s one thing we should talk about up front. Google’s Nexus phones offer updates to the very latest Android built right as it’s released regardless of the carrier or manufacturer. 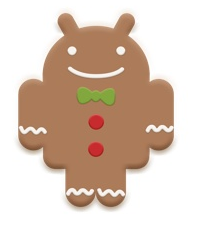 On pretty much every other Android phone/device, updates are pushed through the carrier or OEM. This means that if users want the latest enhancements for Android (and who doesn’t?) they have to wait for a middle-man to get around to setting everything straight before they get the update. Unfortunately promised updates have failed to come to fruition in a number of cases, leaving users without important feature updates and performance improvements. And even when promised updates do eventually come through, they aren’t always as simple as upgrading right on your phone, making updates unobtainable for those less versed in the computer world. With the Nexus program, Google provides access to the very latest Android software. Updates always come as soon as they’re released from Google, and they install straight through the phone. This gives any of the Nexus devices an advantage over most other phones. 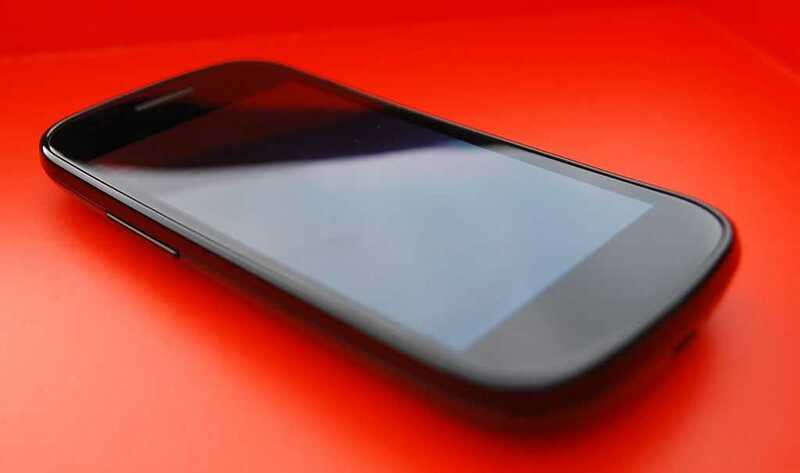 The Nexus S is one of the only [perhaps the only] devices on the market today that comes out of the box with Android 2.3 installed. And, even then after powering it on, the phone will ask to install several incremental upgrades that have been made since the initial Android 2.3 release. And now back to our regularly scheduled reviewing! Let’s has a quick look at the specs of the phone and a tour around the device. 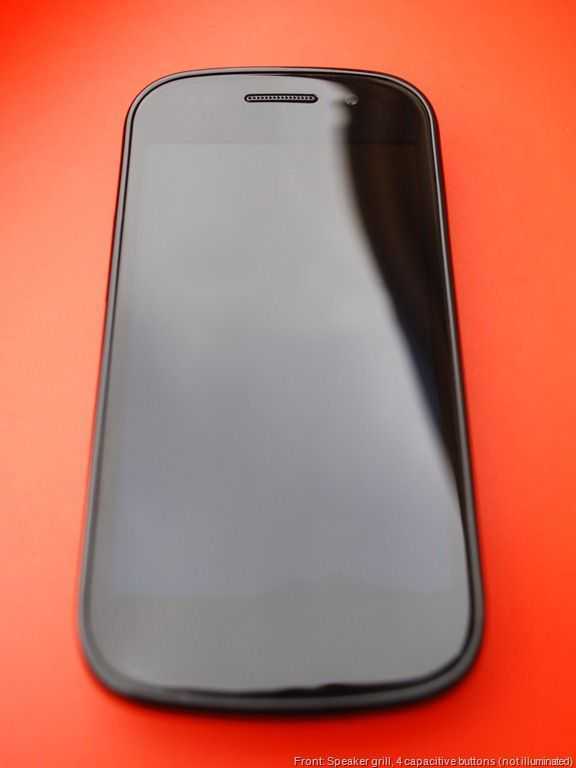 As usual, you can see detailed specs, links, photos, and even compare devices with the Nexus S at it’s tracking page in our device database. And that’s all! Yup, it’s a pretty simple phone. Multi-core superphones could Benefit From Honeycomb. I don’t know if you’ve seen the pdfs yet but the whitepapers published by Nvidia last week are worth spending an hour going through if you’re interested in ultra mobile and low power computing. The two pdfs focus on the benefits of high performance graphics and multiple cores in mobile computing. While I’m yet to be convinced that I need 1080p decoding and gaming graphics on my mobile computer, I do see that improved user interfaces and acceleration of some elements of the web page and web application process is beneficial. After reading the reports I’ve also come away with positive thoughts about multicore computing as a way to save battery life. The theory is simple – high clockrates need higher voltages and more power in exponentially rising amounts and so running two cores at a lower clock to complete the same task can result in power savings. In podcast 63 at Meetmobility, Al Sutton of Funky Android, an Android consulting company, highlighted why he thought Honeycomb would appear on phones. His theory is based on the fact that Honeycomb is the first version of Android to be built with multicore platforms in mind and the supephones will therefore benefit. The Dalvik environment that applications run in is multicore-aware and will attempt to use multiple cores to speed up (and lower the power cost) of jobs that run in it. That feature alone could help every application running on Android without any programming changes in the application. With smartphones heading in the multicore direction, Honeycomb brings advantages and unless there’s a new multicore aware version in the 2.x branch, Honeycomb could be the way to go for multicore smartphones. So why don’t silicon experts Intel use multiple cores in their Moorestown platform? The platform runs up to 1.8Ghz I understand so wouldn’t it be better to run 2 cores at, say, 1Ghz? Cost of silicon, size and complexity are probably in the equation and there’s probably a marketing advantage in using a higher clockrate but you would think that if this theory of more cores x lower clock=less power is true, Intel would be doing it too considering how badly they want to get into smartphones. Perhaps it is because much of the software out there isn’t truly multi-threading enabled and the advantages are limited. Where a program runs on multiple cores at a lower clockrate but only utilises one it means that the operation takes longer to run and the system can’t get into an idle state as quickly and the power used is way higher. Just leaving a wifi and screen on for a small extra time will negate any potential advantage. It’s complex stuff but my feeling right now is that multiple cores are going to bring advantages. We’ll see, in time, if the Honeycomb-for-superphones theory is correct and we’ll see if Intel goes that route for Moorestown and Medfield too. There are people that visit the site directly, there are people that discover us through search and there are people that keep tabs on us through RSS, Email and Twitter. It seems silly to leave the 5 gazillion Facebook users out in the cold so if your go-to site for a personalised feed is Facebook, you can now add us in and keep track of the latest consumer tablet, pad, MID and superphone news there. 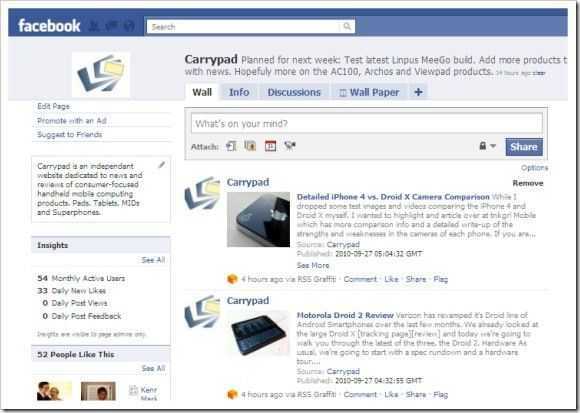 Click to go to the Carrypad Facebook Page. Don’t forget to ‘Like’ us! All news items will flow through and we’ll also make sure to announce extra events and link in relevant content from our sister and partner sites, UMPCPortal and MeetMobility. We’ve enabled the ‘Discussions’ feature so if you have ideas and thoughts about the site, please don’t hesitate to raise the point. 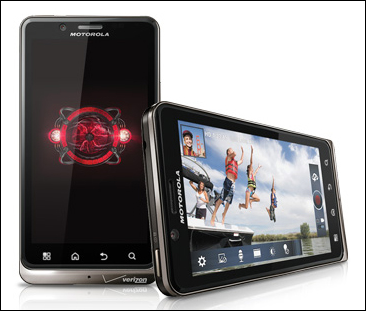 I’ve been quite surprised by how many of my non-tech friends have heard of the Motorola Droid X. Generally I’ve found that non-techies pretty much only recognize the iPhone, but Verizon must be doing a decent job of marketing upcoming devices here in the US. 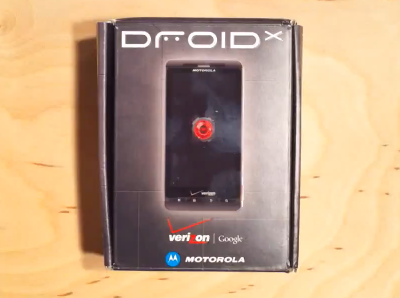 Tnkgrl, who always seems to have her hands on the latest smartphones, has graced us with a great Droid X unboxing. You can find one of her videos below (for the other, click through to her site for the first power-on video). One of the most surprising things that you’ll probably find is how large the Droid X is. The HTC Incredible, iPhone 4, and Nexus One all look quite tiny by comparison. The screen is a whopping 4.3 inch and the only current smartphone screen that I know of that surpasses it is the Dell Streak’s 4.8 inch screen [Portal page]. In addition to the videos, tnkgrl has a bunch of great shots of the device in a flickr slideshow. If you want a detailed run-down of the Droid X’s specs, check out our Droid X tracking page in the Portal. There has been some initial confusion over what CPU the Droid X uses, but we’ve confirmed it to be a 1GHz Ti OMAP 3630 CPU. 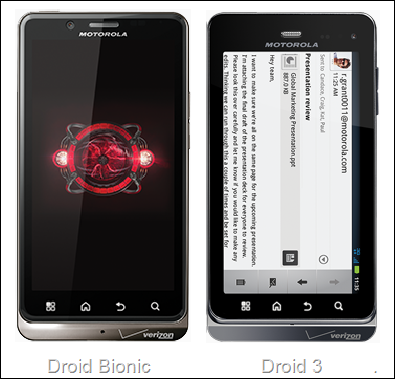 The Droid X specs that you’ll find in the Portal are from an official source, and not cobbled together from rumors. Sony, Samsung and Nokia have been leading the market for high quality cameraphones for years now and if you’ve been following my N82 story, you’ll know that even after 2.5 years I’m still finding it hard to find a replacement for the amazing optics, sensor, flash and mechanics of the N82 camera. It’s not just about mega-pixels. It’s never about the megapixels. 12MP might bring you some digital zoom le-way and a better large-format print but that’s about it. I wrote a semi-private article about assessing smartphone cameras [reproduced below] a few months ago and you’ll see how complex the situation can become if you’re really looking to replace that compact camera; And many people are. It’s not just about image quality either. It’s about ease-of use, sharing, longevity, geotagging, communities and having a camera and video cam with you at every opportunity. I have literally thousands of pictures that I’ve taken with the N82 that I would never have had the chance to take with a compact camera. There are thousands of people out there that have used smartphone cameras in difficult situations too. Car accidents, citizen journalism, wars and then there’s the possibility to go live to thousands of people with applications like Qik and Ustream. Compact cameras generally have better quality optics and the very important mechanical zoom but there are still good reasons to have a cameraphone. The new player on the block is the Apple iPhone 4 and I have to confess that I’m interested. It comes at a time when I’m deep in the middle of looking for a new cameraphone solution before my N82 dies. I’ve done some analysis on the iPhone4 pictures and although I can’t comment on the new software yet, I can comment on the sensor. It doesn’t seem to be a huge leap forward in quality. In sensitivity terms it appears to have a 1-stop advantage over the 3GS and of course, with the high resolution, is likely to product better prints but that’s not significant for most people. In fact, it’s rather disappointing given the hype that came from Apple on the backlit sensor. [Update: I estimate that the iPhone 4 is only giving users 1 f-stop advantage. That’s double the sensitivity but not a huge difference in the real world] We’re talking ‘good’ and ‘top quartile’ here but not top 5. I’ve seen better results from the N82, N86, Satio, N8, XT720, Omnia Pro, N900 and I suspect there are a few other Samsung and Sony phones out there that will beat it. For me, the iPhone 4 brings software rather than quality and that’s a valid reason to choose it if the image quality is acceptable to you. Ignore this report though. It compares the iPhone 4 to some superphones for sure but if you’re interested in quality cameraphones, that’s not the list you need to be looking at. The Samsung Omnia Pro had an excellent camera but fell short in a few important areas. Windows 6.5 is not exactly the best OS for photographers, it only comes with LED flash and, as with many smartphones, the open lens proved a grease-magnet and long-term quality issue. 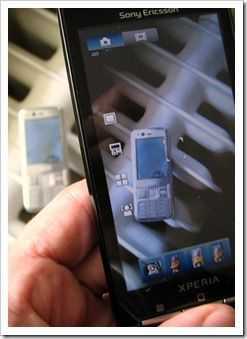 The Xperia X10 is a similar story too. Then there’s the Sony Ericsson Satio which had a good camera and flash but turned out to be a terrible phone. 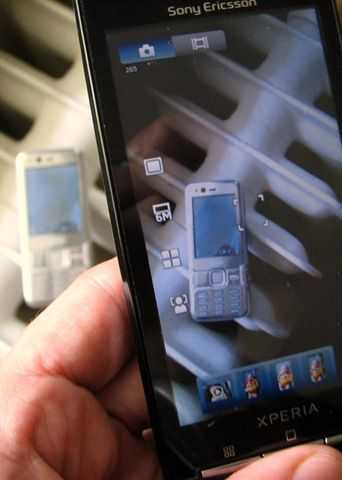 Currently it looks like the Nokia N8 is going to set new standards but for me, that Symbian operating system isn’t something I’m getting too excited about now that I’ve had some good time with Android. Again, the lens is open on that N8. Given that I’ve settled on Android as the best mobile OS for me (I’m a Google user, I’d be stupid to choose anything else!) there’s one phone coming up that might take the title for me. I don’t expect it to have the quality of the Nokia N8, a phone likely to raise the bar significantly, but it looks to be a nice all-round solution. You can check out some Flickr galleries taken by Asian owners of the XT720. I’m a little worried about what could be a plastic lens (this image looks either smudged with finger grease or the result of a plastic lens) but as far as Android phones go, it looks to be good enough that it could replace the N82 although I have promised myself that I will test the N8 too. Low-light photography (without flash) A sensitive sensor means not having to use flash. A natural lighting wash is often better than a pinpoint flash. It also means that the camera can choose higher shutter speeds and therefore produce sharper images. Flash. For very low light images, flash is required. Xenon flash make a great choice not just for its power but for it’s short duration that can ‘freeze’ images. A long duration LED flash can result in blurry images if the subject is moving. LED lamps are the only choice for low-light video work. Preview screen (both indoor and outdoor) I make a lot of mistakes on my N82 purely because I can’t see what is in focus and what isn’t. A big, high-brightness screen is a superb way to secure a better ‘hit’ rate. Access to controls. Touchscreen devices can make accessing camera options easy. Check out how many presses you need to make to turn the flash from ‘auto’ to ‘red eye.’ for example. Type of controls. If you want to get creative you’ll need access to focus controls, ISO, aperture, shutter speed and white balance but there are some other features that are good. How about automatically taking 6 shots at a time? Or being able to detect movement. Some of these features are gimmicks, some are useful. Pre-focus. Make sure that the camera is able to pre-focus by pushing the shutter release button down half-way. If you’re able to prepare for a shot like this, the duration between pressing the shutter release button and the camera taking the image can drop dramatically. A near instantaneous press/capture is obviously ideal. Touch capture. With touch-capture, you can tap on an area of the (touch) screen to influence the focal point. It can also be less ‘shaky’ than using a mechanical shutter release button. Be aware that touch-capture will not give you the ability to preview the focus. Speed to remove device from pocket and start camera. THere’s nothing worse than waiting for a device to come out of standby and waiting for the camera application to start. Having a shutter cover rather than a case saves time. Having a quick unlock feature saves time. Fast software saves time. Quick review. Being able to see the photo you’ve taken is critical. Often the shutter sound does not correspond exactly to the time the image was taken. If the preview takes 2 or 3 seconds to appear it’s annoying for both you and your subject. Transfer of photos (online, usb bluetooth, tv) Think about where you need to send your photos. Do you use Flickr. If so, think about a phone that uses 3G with a fast upload speed (HSUPA or HSPA for example.) Make sure the transfer process can be run in the background. Also think about USB transfer speed. For Facebook, make sure you can install an application that supports image uploading or that the Facebook website allows you to upload from the phone. Lens cover. The value of a lens cover can not be overstated. A greasy, scratched, dusty lens is the last thing you want. Geotagging. Geotagging isnt just for fun, it helps you to organise your photos based on places. A fast GPS lock or use of network location services can help. Overall size of device. If it’s too big you might have to put it in your bag. Price. Clearly price is a major consideration. Apps. Think about third party software. The iPhone has a number of good camera applications that can be used for different scenarios. On-cam video editing is becoming a theme too as processing power increases. Future. Phones can often get better over time. Firmware gets improved and a phone that may have been slow on first release might get upgraded. A phone older than 18 months is not likely to get regular firmware updates. Build quality. A cameraphone WILL take a beating. Think about moving parts and exposed ports. Choosing a mobile phone based on camera capabilities is not how most people will go about the process of choosing their next mobile phone but I know that there are many of you out there that put the camera capabilities high on the list. I hope the tips help you and if you’ve got any other Super CameraPhone tips or thoughts (how’s that Evo, DroidX doing?) please let me know in the comments section below. If you are interested in cameraphones, check out these two bloggers. They’re as mad about mobile phone camera’s as I am!